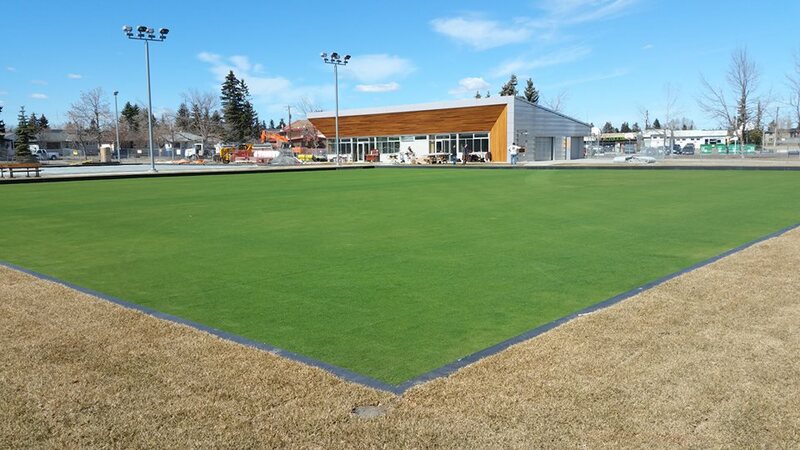 Bowls BC would like to extend a big Congratulations to the Calgary Lawn Bowling Club http://www.calgarylawnbowlingclub.ca/ who most recently opened their doors to a new facility in the City. In a time where Clubs are struggling for numbers the Calgary Club has stepped up with some funding to open a brand new facility to aid their sports increasing numbers. A brief history of the Club goes back to a group of ten men gathered in the boardroom of The Trust and Guarantee Company on May 16, 1923 to discuss the forming of an affiliated Lawn Bowling Club. Judge Winter was elected President and he offered the east side of his lawn as a green, the location of which was near the old Holy Cross Hospital, and this location was used for nearly six years. A tent served as the clubhouse. Congratulations once again to the Calgary Lawn Bowling Club from your neighbours in the West. A great accomplishment that you have achieved within your Province. Best of luck in your inaugural season!